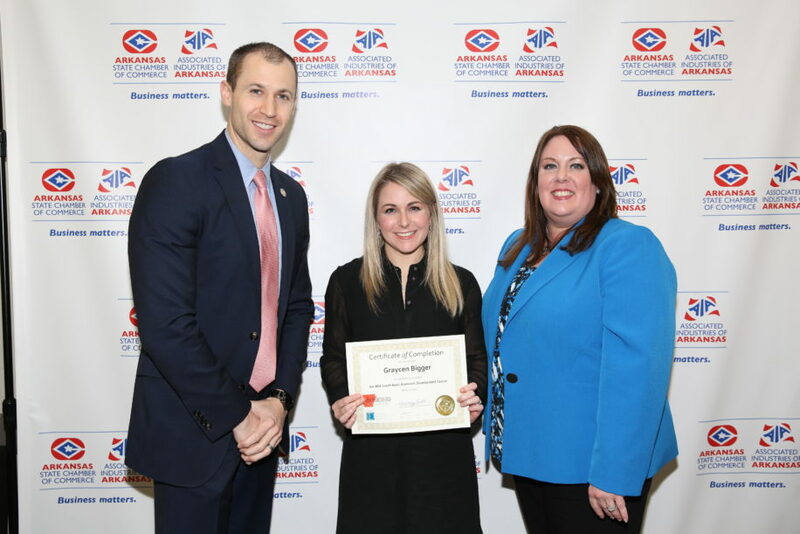 Graycen Bigger of The Northeast Arkansas Regional Intermodal Authority recently completed the Mid-South Basic Economic Development Course offered through Arkansas Economic Developers and Chamber Executives (AEDCE). She joined thirty-seven other participants from 4 different states in the four-day April program. Offered annually in the spring, the Mid-South Basic Course provides an intensive overview of the process and practice of local economic development. It features over thirty instructors who are recognized experts in their fields. It is one of twenty-five such courses accredited by the International Economic Development Council (IEDC). Graycen Bigger’s completion of the course now qualifies her to attend a series of advanced training courses, ultimately leading to eligibility for designation as a Certified Economic Developer (CEcD).